This Beautiful and unusual wingback chair has been fully reconditioned using only traditional upholstery methods and materials. 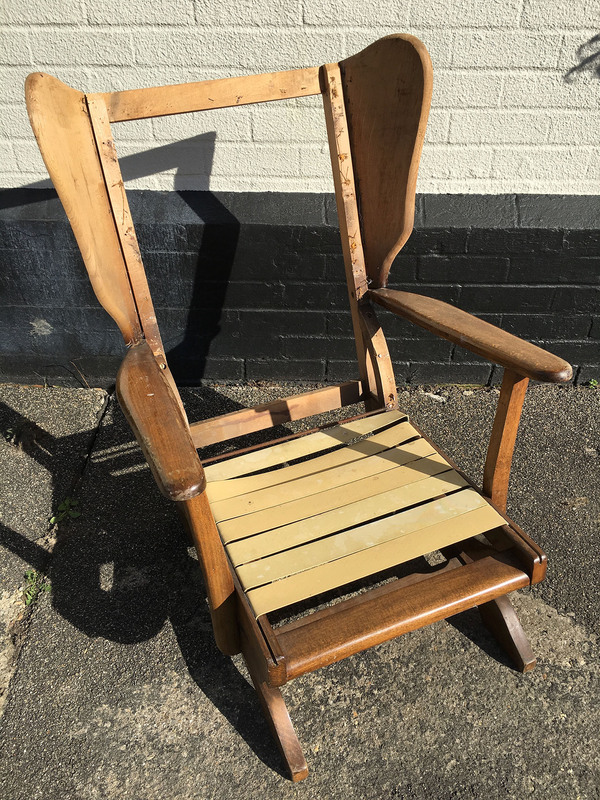 Sanded down and oiled, this chair is as good as new. With is beautiful carved wooden arms and low seat, this wing back is like no other.